This is it, the final day of the LiveFit Trainer. I took my final measurements this morning and was very happy with the results. I decided to leave my body fat percentage for my last reading as per my scale readings, for comparison purposes (as that’s how I started). For a complete listing, please have a look at the Body Stats PDF I made. This includes ALL measures from the past 12 weeks and also graphs to show gains and losses. 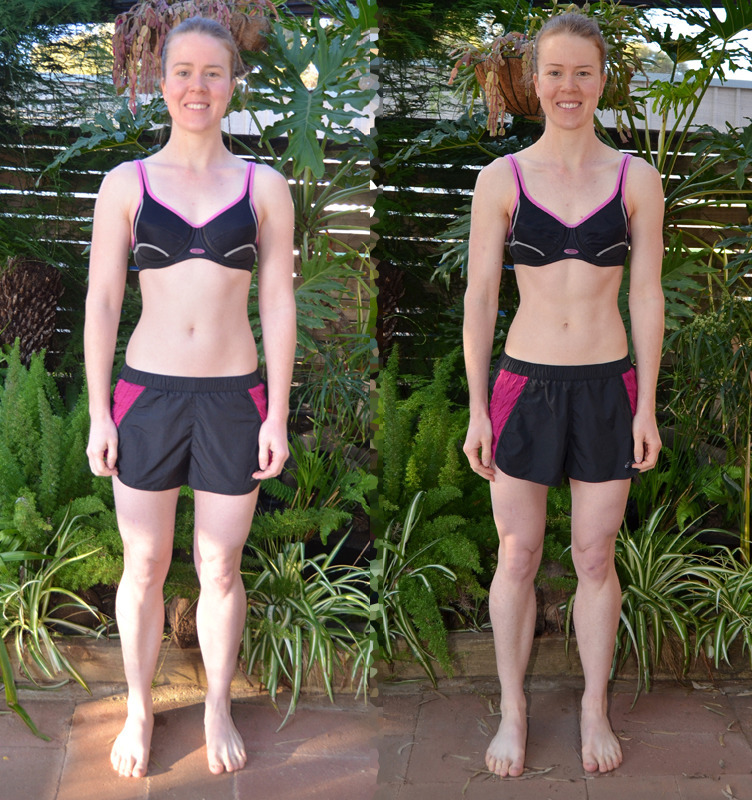 Interestingly enough, in Phase 2 of the program I lost the most body fat and centimetres, despite Phase 3 being the “fat loss” phase. 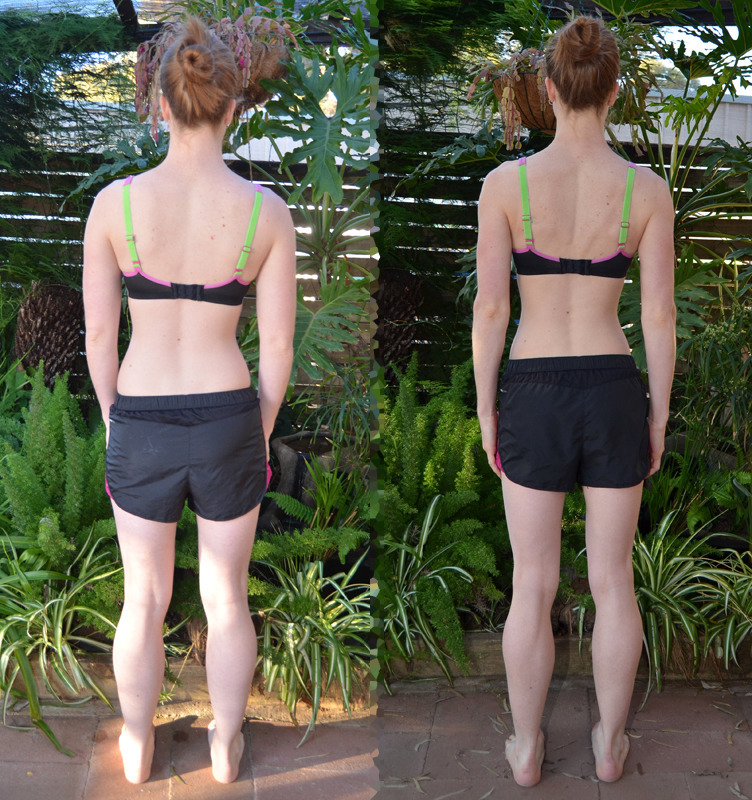 I have uploaded my before and after photos and I can see the most change in my lower back. You can also see how the fit of the shorts I’ve been wearing have changed. They went from being somewhat fitted to baggy. I opted in the end not to get professional photos. Being so close to my trip to Egypt, I don’t have much money to play around with and I can see professional photos being in excess of $200. I would also have to buy new outfits and possibly get a spray tan. Time is also an issue as I would have had to get them done this weekend which would not have been possible. The poses would also be somewhat questionable and I’m sure I’d be highly embarrassed. – I loved the structure of the program. I knew what I was meant to eat every day and also what as required of me at the gym. – I love my results. I reached my goals plus more. I feel a lot more comfortable and confident in my skin. – I learned to love lifting heavy weights. Going into the “men’s section” at the gym was always something I found daunting. Now it’s my new home. I no longer feel awkward and I love how I feel after using the equipment. – I enjoy early morning workout sessions. Never in my life did I ever think I’d be one to workout at 6:00am. But these sessions really woke me up and helped me stay focused during the rest of the day. – I learned to drink water. Prior to this program I was lucky if I drank 1 glass of water a day. Now I’m drinking a minimum of 3 x 600ml bottles. – I appreciate food a lot more. Since the dawn of time I’ve been a ridiculously fussy eater. No seafood, no tomatoes, no cheese, etc. Being so strict with meals has made me aware of other amazing tastes. I no longer have to wash a small piece of tomato down with a chunk of meat. I now really enjoy turkey and fish which is something I never thought would be possible. – I enjoy frequent eating. Prior to this program my stomach would made noises and I’d feel absolutely exhausted by 2:00pm. Eating every 2 to 3 hours saw my energy levels up and my stomach noises down. – I leaned to say “no” to offers of cake etc. Prior to this program, if someone at work offered me a donut or slice of cake to celebrate their birthday I’d say yes, even if I didn’t really want it. (I didn’t want to hurt their feelings.) Now I can say no with confidence and not feel bad about it. – I don’t know if it’s the extra protein in my diet or what, but my hair no longer falls out in clumps when I wash it. It’s now thicker and a lot more healthy. – I proved to myself that I could do it. I never believed that I’d have the willpower to successfully complete the 12 weeks but I did. I had no cheat meals and no missed gym sessions. – This program saw me alienate myself from my friends and family. I had strict regimes to follow and this often saw me saying no to spending time with people. – While the extra water intake was great, I had far too many bathroom breaks for my liking. Sometimes I’d get up 3-4 times in the middle of the night! – Towards the end of the program (in Phase 2), I found sleeping difficult. I’d struggle to get to sleep and then wake up an hour earlier than I needed to. – I became obsessive. I would get annoyed if I couldn’t eat when I needed to. ie: A meeting at work going overtime. – A lot of my protein meals made me feel quite bloated which was uncomfortable. This was very common during Phase 1 and also towards the end in Phase 3. – And the obvious one… I missed delicious foods! I think that’s about everything. So would I do it again? No, not the full 12 weeks. It was far too long for me. I personally saw some great results in the first 6 weeks so should I want to do it again, I will only do a 6 week program. I have no regrets doing the 12 weeks this time, but next time I’ll step it down a notch. And what now? Well, I will continue to calorie count and eat frequent meals. I will be a lot more conscious about the food I consume and I will be continuing with regular exercise and weightlifting. In the short term, I will focus on bringing my body fat percentage back up by slowing increasing my carbohydrate and calorie intake.